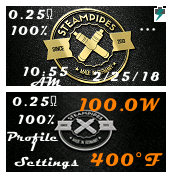 I created this theme inspired by the design of old mods, but added novelty to it, while maintaining the frequency of the interface. 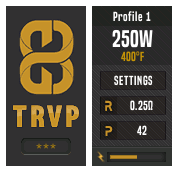 Main feature: Interface colors change depending on some settings. The interface turns red if boost is on, Green if charging is in progress. Primary color is blue. Hey. 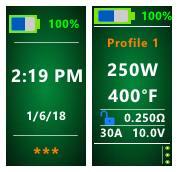 I have such a problem: my old batteries (sony vtc5a) are correctly discharged from 100% to 2% after which the device ceases to give power, I believe that this is normal work. But, the other day I bought myself two pairs of new batteries (sony vtc6). 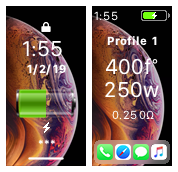 One of the pairs also works correctly, but the second pair is discharged to about 60-40% and then ceases to give the necessary power and the device writes "Week battery", then the charge drops sharply to 20% and to 4%. In the store, they replaced me with this pair, but the new one has the same problem, while the others work correctly. 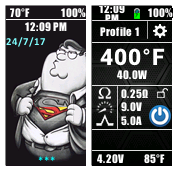 Tell me, will the battery analyzer help me and how with the new settings will the old batteries work with which there were no problems? 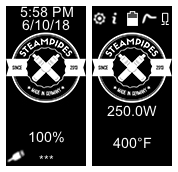 Tell me why batteries work this way? 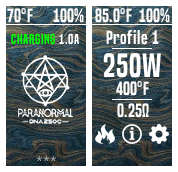 My device: Paranormal DNA250c, I believe that it works correctly, and the problem is in the batteries themselves. 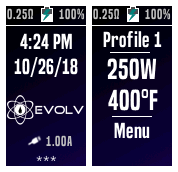 I upgraded the theme "Evolv Default Enhansed" a bit, for my Paranormal DNA 250C. Decided to share it with you. 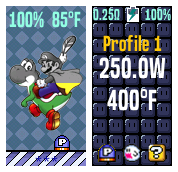 List of Changes: Changed the illumination of the fire button while pressing, Changed the title screen, change the "Puffs Info" screen, changed the power switching step to 5w. 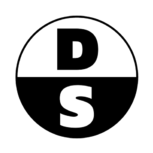 Perhaps this theme will please you more than the original "Evolv Default Enhansed"
No new products for the DNA family? 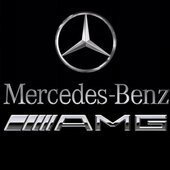 Lot of time without seeing new products based on DNA chips. What's happening? There isn't a new lineup of products using the DNA75c and many manufacturers seem they have ignored DNA250c also. 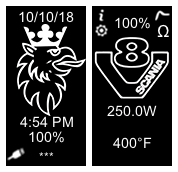 I really would like to see some products that compete with the HCigar VT75c which is, in my opinion, one of the hottest segments in the vape world. Still I can't find anything that can be comparable to this product (single battery, small form factor, 26650 battery, good looking). Good afternoon. Tell me, what DNA is used in the billet box 60 w? 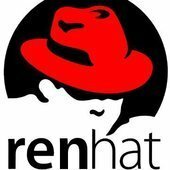 I want to make a purchase on the site, I'm afraid of making a mistake.